Modern and stylish, this Safavieh Courtyard area rug is a quality accent piece. Great quality is assured with this indoor/outdoor piece made out of plush synthetic material. Modern style and construction is combined in this machine-made rug. This blue rug with its floral plants pattern is modern and stylish. Add this high quality Safavieh Courtyard area rug to your home for an instant splash of style. Bring this high quality plush synthetic indoor/outdoor rug into your home to upgrade your interior design immensely. Modern style and construction is combined in this machine-made rug. This blue rug with its geometric pattern is modern and stylish. 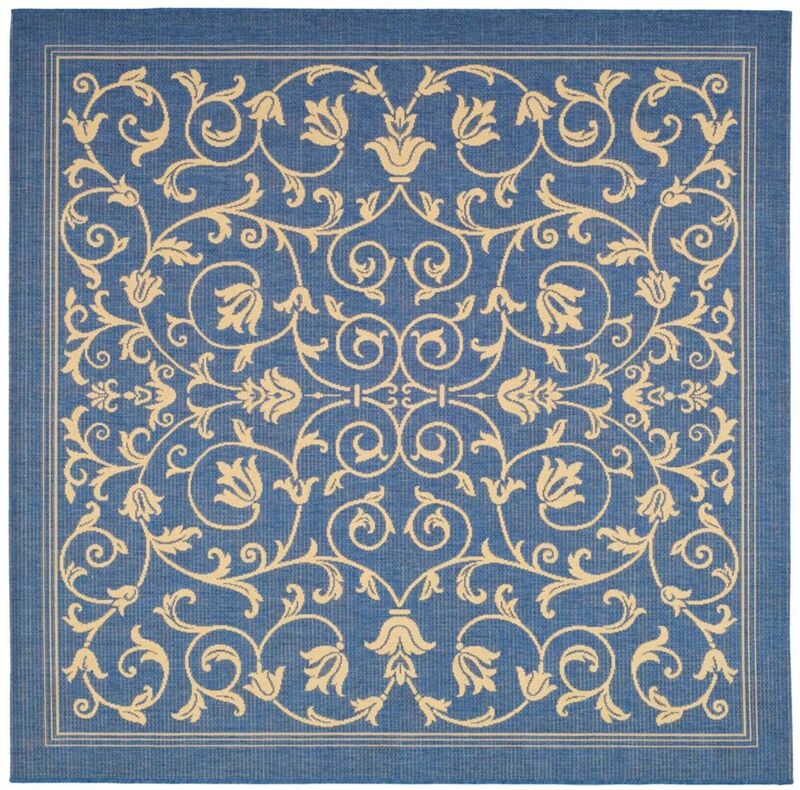 Courtyard Marc Blue / Natural 6 ft. 7 inch x 6 ft. 7 inch Indoor/Outdoor Square Area Rug Modern and stylish, this Safavieh Courtyard area rug is a quality accent piece. Great quality is assured with this indoor/outdoor piece made out of plush synthetic material. Modern style and construction is combined in this machine-made rug. This blue rug with its floral plants pattern is modern and stylish.